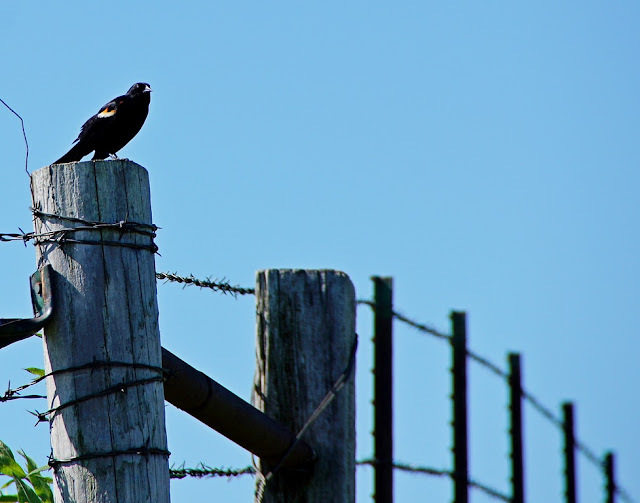 Misty's Musings: Perched or Posted? Either way, it's a nice shot! Wonderful shot, I like the angle you took this shot at. It draws your attention to the bird. Great photo capture and perfect caption also. What a lovely photo, he definitely has his eye on you doesn't he? Great photo, both by the look of it. Lovely shot. I love the perspective.